With a current market cap of $26BN USD, Tesla is widely tipped to be the first company to take electric cars to the masses. Rumours abound that software giant Apple, after revolutionising home computers, phones and watches, wants to make electric cars also. Richard Branson has hinted that his mega corporation Virgin may also have a crack at electric cars – they are sending people to space after all. Traditional car makers are not going quietly though. German auto maker BMW has a successful electric car on the market, along with a hybrid coupe. Rival German Mercedes is also planning a suite of electric vehicles. The race for electric car dominance is in full swing and hotly contested. The one thing in common with all these cars is that they’re powered by a rechargeable lithium-ion battery. Lithium is fast becoming the power source of the future – today. The rise of the electric car has led to soaring demand for portable power gained from rechargeable lithium-ion batteries. The market for rechargeable batteries is predicted to double by 2016 to over $22BN , with lithium as the key ingredient. Add this to the demand generated by renewable energy storage systems – lithium batteries are required to store solar and wind energy – and it’s clear that lithium is a strategic metal for the future. The next company to bring a big lithium resource into production should find plenty of customers lining up to take its product. At The Next Mining Boom we’ve been alerted to an ASX-listed junior capped at just $4.2M that’s got its hands on a huge lithium resource on industrial Germany’s doorstep. In terms of volume this deposit is in the Top 4 hard rock lithium deposits in the world, and may one day grow to be the largest in the world with some additional drilling. But having the largest deposit in the world is useless if the costs to extract are too high. Again this is where this little company may have an edge. They have struck up a relationship with a strategic partner that uses a process that could dramatically drops their extraction costs. We will know specifics on this in just days – when the company releases their Scoping Study results. 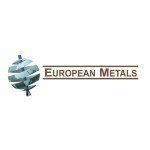 European Metal Holdings Ltd (ASX:EMH) is currently developing the Cinovec Project in the Czech Republic – a low cost nation with a low corporate tax rate. 100% owned by EMH, the Cinovec Project houses a top 4 hard rock lithium resource by volume, plus quantities of tin, tungsten and potash that aren’t to be ignored. EMH has just confirmed that 99.56% pure lithium carbonate has been precipitated from a sample of Cinovec ore. Current indications are that EMH’s process is low cost – with the production of battery grade lithium carbonate at a cost equivalent to brine deposits. The latest estimated operating cost is less than $2,000 per tonne of lithium carbonate produced (after sulphate of potash credit). When sales from tin and tungsten are taken into consideration, the total cost of lithium carbonate production by EMH has the potential to be substantially less than for brine deposits. EMH’s Cinovec Project is located right on the border with industrial power house Germany – BMW, Mercedes you may be familiar with – they all have factories here, and are ramping up electric car development. There is also lithium producer Rockwood nearby – recently the subject of a $6.BN takeover offer by Albemarle. Headquartered in Frankfurt, with a production site in Langelsheim, they are gearing up for an increased demand in batteries for electric vehicles – perhaps they might be interested in some of EMH’s lithium at the Cinovec Project? The Czech Republic is a member state of the European Union, so it has strong economic ties to this exclusive economic region and EMH will have few hurdles to jump when it comes time to produce and sell lithium. We have looked into some of the other companies with large hard rock lithium resources – and noticed a rather large disconnect between EMH’s market cap and the rest. EMH is currently capped at just $4.2M. Bacanora Minerals is listed on the TSX and AIM and has a market cap of over $135M – it’s not shown on the above chart but it has a resource of just 160 million tonnes . Yet EMH may have a bigger lithium resource than them all. For this reason we see a lot of potential upside in EMH, as it steers its Cinovec Project toward production. EMH recently signed a Memorandum of Understanding (MoU) with Cobre Montana, an ASX listed company that may lead to improved extraction of lithium – reducing extraction costs compared to traditional methods. From here on in, the big question is how much will it cost EMH to extract the lithium? Current estimated operating costs are $2,000 per tonne of lithium carbonate produced . After tin and tungsten credits, operating costs are anticipated to reduce further – potentially in the lowest quartile operating costs. A Scoping Study for Cinovec’s mining and processing operation is set to be completed in the coming days and could paint an even clearer picture of future – a catalyst for a re-rate if there ever was one. After that, EMH will launch a Pre-Feasibility Study (PFS) that will see more drills turning to finalise the resource sizes at Cinovec and come up with a mining plan. There are scores of catalysts in the pipeline on the way – and EMH’s tiny market cap of just $4.2M could be the ground floor starting point for the company to potentially become a global strategic metals player. In this article, The Next Mining Boom will run you through all the elements of the ambitions and strategies, and bring them together to show you why we have made a long-term investment right now. lithium (Li) is the lightest metal on the periodic table and has such low density you can actually cut it with a knife! Boeing is using lithium in its new generation of light passenger planes, lithium salts are used to treat a range psychiatric conditions, and defence companies are incorporating it into new designs. But lithium’s reactive power is the main game – for the markets and for EMH. There is so much reactive potential in lithium that the world’s first nuclear fusion reaction was based on the transmutation of Li to Tritium. And this reactive power has led lithium to become the main ingredient for modern rechargeable electric batteries used primarily in two industries – automotive and renewable energy storage. The rise of the electric car and renewable energy storage systems like those necessary for solar panels worldwide has led to soaring demand for lithium that EMH is determined to satisfy with its Czech Republic play. The market for rechargeable batteries is predicted to double by 2016 to over $22BN , and companies like EMH, which are intent on producing it, are clearing moving into a growing sector. China has mandated that 30% of its cars should be electric – which could place a lot more strain on global lithium supplies. The ever increasing demand means more lithium mines are needed to keep up – just like what EMH’s are planning at the Cinovec project. If EMH can bring its Cinovec lithium mine into production in the heart of Europe, it could be poised to be the next big supplier of this valuable substance to the continent’s high tech industries – and to the rest of the world. To give you an idea of the potential, now and in the future, let’s dig a bit deeper into the world of rechargeable batteries. That’s the Tesla Model S , a fully electric car that can accelerate from 0 to 100kmph in just over three seconds, and a vehicle that has more than 500km in the engine from a single charge from its lithium-ion batteries. Tesla is the world’s leading manufacturer of purely electric cars and has strong global sales driving its expansion. Tesla’s success is paving the way for other auto makers to create their own electric cars – either hybrids like Toyota’s Prius, or full battery power models like BMW’s i3. And each and every one of those cars, no matter what company makes them, has a rechargeable lithium-ion battery turning the wheels – full of the stuff EMH is planning on digging out of the ground in the Czech Republic. Part of the drive in this future growth of lithium demand will be the Tesla Gigafactory – an enormous lithium-ion battery production facility being built in Nevada. The Tesla Gigafactory will be the first of its kind in the world and could be the first of many facilities across the USA and the globe. This could turn into a production line for a new era of electric vehicles all using lithium-ion batteries. Tesla has even announced a plan to make lithium-ion batteries for electric homes , a vision of the future that could come around sooner than we think. The blue sky here is that electric cars will become the dominant mode of transport in the coming years, potentially causing lithium to become a major part of the transport fuel chain... with the consequent long term surge in lithium prices. Again, that’s blue sky – but there is more than enough growth and demand for lithium through the expanding market for batteries for EMH to capitalise on right now. There has been historic mining at EMH’s Cinovec Tin-Tungsten-lithium Project in the Czech Republic going back 600 years to the 14 th century. Back in those days, people were looking for tin at the site – a metal still in demand these days and still present in the ground there – but in modern times lithium is the name of the game. It’s shallow – just over 500m at its deepest – so extraction should be relatively simple and cheap – and there’s ample scope for more exploration. There’s been over 80,000m of historical drilling to date under the Communist Regime – so that potential billion tonne resource is backed up by strong geologic evidence. And it’s not just lithium EMH can dig up at Cinovec. There are also significant quantities of tin, tungsten and potash that it can dig up and sell too. All strategic commodities, all with a seemingly bright future. Tungsten is a steel hardener – every gram EMH find could be sold to local steel mills and it’s defined as a critical metal in the EU. Tin is a key ingredient in cars – the German automotive industry will no doubt be interested in EMH’s tin. Plus tin is increasingly being used in high tech industries including batteries, solar and nano-technology. EMH has a working estimate of 80% tin recovery at Cinovec – and with tin forecast to sell for up to $25,000 a tonne in the next few years, its 114.4kt of tin (30.1 MT @ 0.37% Sn) could be a solid revenue earner for EMH in the coming years as demand for the metal rises. The Scoping Study underway right now at Cinovec will determine an estimate for how much it will cost to produce Tin there. Novel processing step to reduce production costs for EMH? EMH has just signed a non-binding Heads of Agreement with Cobre Montana, to record the intentions of both parties prior to drafting a formal Joint Venture agreement. The JV covers the production of lithium carbonate and associated by products through processing tails from treatment to recover tin and tungsten. Cobre Montana Ltd are trialing proprietary low temperature leach to recover lithium and are working with EMH to potentially utilize this process at Cinovec. Cobre Montana, through its alliance with Strategic Metallurgy, has the ability to use its licensing rights, and know how, to extract lithium from the micas that occur within the mineralised zones at EMH’s Cinovec. The technology provides a low power process for lithium carbonate production – with added benefits of recovering the high value sulphate of potash as a by-product. Cobre Montana is undertaking test work over the next 6 months that will culminate in the presentation of a commercial development proposal for EMH. For those interested in Cobre’s process, you can check out this presentation which goes into far greater detail. Essentially, the process involves low-temperature leaching. Lithium is usually extracted using super-heated roasters and can be very costly to set up and run. But the Cinovec lithium Project has lithium contained within zinnwaldite, a mica that could lends itself very well to extraction technology using low temperature leaching and froth flotation – a kind of combination of the methods used to extract lithium from brine and hard rocks – done in a cheaper way. Eventually EMH could set up a processing facility in the Czech Republic to extract lithium from the material it mines at Cinovec. The low temperature leaching process could be cheaper and faster than the traditional method of high temperature roasting. Combine that with the soaring demand for lithium, the cheaper price of doing business in the Czech Republic, the strategic location of the Cinovec Project on the doorstep of Western Europe, and the size of the resource at hand, and EMH is well positioned to potentially become a leading global producer of lithium. Then EMH will move swiftly on to a Pre-Feasibility Study that will see more drilling undertaken to firm up the resources and help finalise its plans for a mining operation. We will be looking ahead to more drilling at Cinovec to expand the size of its resource. EMH has already significantly boosted the lithium extraction potential through test work from its strategic partner Cobre Montana, which bodes well for the Pre-Feasibility Study coming next where cost projections for production could be announced. Cobre Montana is due to present a commercial proposal to incorporate the technology directly into EMH’s Cinovec project in the coming months. All these elements could be catalysts for a rise in EMH’s current $4.2M market cap and at The Next Mining Boom we’ll be keeping an eye on developments there. EMH has a globally significant lithium resource in its hands with tin, tungsten and potash present in bulk as well. Lithium is in great demand as the rise of electric cars fuels a growing industry for lithium-Ion batteries – the very thing EMH’s lithium is perfect for. The Cinovec Project is strategically located near Europe’s high tech industrial heart and could service both the continental and North American markets for lithium. The Czech Republic is stable, cheap and generous with its tax system – perfect for $4.2M EMH as it seeks to set up a world beating resource. And EMH has access to an advanced extraction process that could allow it to dig up and sell lithium quickly and cheaply. We don’t think it will be long before more wake up to EMH’s potential, which is why we’re in at the bottom floor and looking skyward.